The UK is one of the most well established but also one of the most vibrant and diverse markets for Havana cigars anywhere in the world. The variety of venues, offering customers a broad range of experiences, is a large part of what makes the UK market so exceptional. The EMS stamp is one of the foundations upon which the UK’s reputation as purveyors of the very finest Havana cigars is built. 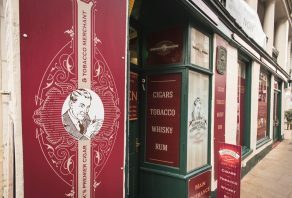 Havana Cigar Specialists are one of the cornerstones of the UK’s proud reputation as one of the best and most enjoyable places in the world to purchase premium cigars. Since 1994 accredited shops have been the first port of call for cigar enthusiasts, weather in search of their favourite Havana cigar or the latest release from Cuba. To earn the right to be called a “Havana Cigar Specialist”, a shop must hold a wide variety of Habanos brands and sizes (these range requirements are set by H&F and Habanos s.a.) which must include Habanos Specialities. Naturally all boxes and packs of Habanos also display the EMS stamp, the UK stamp of quality and authenticity for Havanas sold in the UK. Each shop will have display and storage units approved by H&F, in order to ensure that the cigars are kept in ideal smoking conditions. 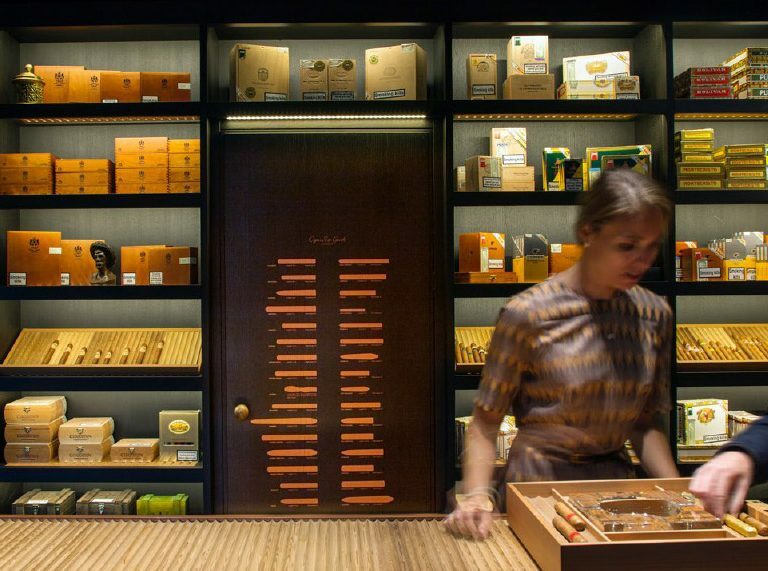 The staff of these shops will also have attended Hunters & Frankau’s Havana Cigar Academy, so as to better provide expertise in storage, recommending and preparing Havana cigars. Havana Cigar Specialists also enjoy stock priority from H&F and are always the first in the UK to receive new releases from Habanos s.a. On top of this, every year a cigar is released by Cuba that can exclusively be sold within Specialist outlets. There are also a few shops within England that legally qualify to offer the sampling of cigars on their premises. A very rare pleasure indeed in today’s enforced environment of alfresco smoking. The difference between a gold and silver Specialist is simply on the range stocked, with the former guaranteeing a wider choice of Habanos brands and vitolas. All the other conditions remain consistent between the two. 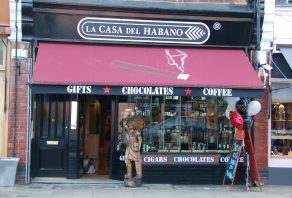 La Casa del Habano is the name for the global network of retail cigar stores franchised by Habanos S.A. There are currently over 140 of these stores throughout the world on five continents. They offer a comprehensive range of Havana cigars, including some special sizes unavailable anywhere else. Many of them have smoking rooms and all store their cigars impeccably. Havana Cigar Terraces were until recently known as COSAs (Comfortable Outdoor Smoking Areas) in the UK. You will find these terraces at selected pubs, bars, restaurants and hotels throughout the UK. They are establishments that provide an outdoor space for cigar smokers to enjoy a cigar in comfort. These are proving to be very popular with cigar lovers as they are able to socialise, relax and pursue their passion. You will also be able to purchase a varying range of Havanas from these establishments. Such is the popularity of some of these terraces that it is often advisable to call ahead to ensure they have a table. 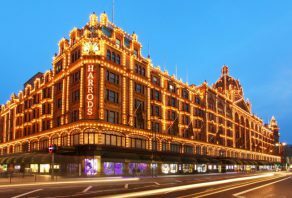 There are also a large number of stores (retailers) across the UK that stock a small variety of Havana and Continental cigars. These are ideal for convenience or for that spur of the moment decision to enjoy a fine cigar. All are stored in the correct conditions and are supplied by Hunters & Frankau. The Higher Certificate, developed by Hunters & Frankau, is unique to the UK and remain the highest qualification for people working in the world of Havana cigars.